Diabetes is still one of the most common causes of death especially for the older demographic. Whether diabetes is hereditary or not, lifestyle options still play a big part on the development of the disease. Especially now that people are dealing with the modern-day lifestyle facing modern-day diseases and illnesses, this can have a huge impact on older adults. The senior population is currently increasing in the U.S. as baby boomers have reached their peak. Aside from the greater demand on healthcare needs, medical supplies may also become a problem for older people to access which are already secondary problems from their physical disabilities. Bayou Home Care, a trusted provider of home care in Louisiana, sees diabetes as a progressive and debilitating condition among older people who often have problems with their lifestyle. We believe that by achieving these goals in the management of your elderly loved ones’ diabetes; they would be able to slow down or even reverse the symptoms and effects of diabetes making their lives easier to live by. Diabetes is often diagnosed on people who have dangerous levels of blood glucose. The increase of such component is dominantly triggered by the food that we eat. 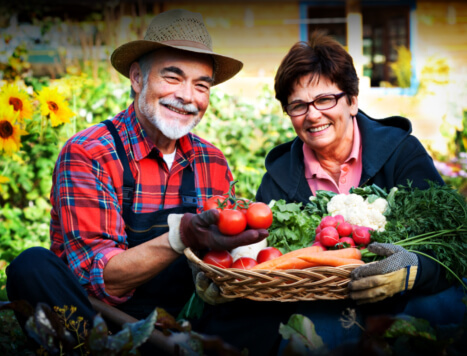 The foods that your elders may become poor in vitamins and minerals over time because of several reasons such as mobility problems discouraging them from going to the grocer’s to get the right food, financial expenses that are often used up by medication costs, and many more. In addition, the preparation can be very dangerous for some seniors who have vision and hearing problems. Cooking their meals is not often advisable for elders with such conditions since it can cause fires, accidental poisoning, and other problems. On top of that, the cleanup may be discouraging for your older people resulting to poor environmental setting. This could probably cause bacteria-buildup at home. You can give your elderly loved ones the right kind of help by getting them home care in Louisiana. You can ask Bayou Home Care for more information on the meal management service that your elderly loved ones should have today. The term “age-appropriate” is self-explainable. A case-appropriate daily routine primarily considers the case or condition of a person in terms of health and state. For instance, if a person has vision problems, instead of letting them walk on their own around the neighborhood which is apparently dangerous, it would be best to give them recreational activities fit for people with vision problems. However, having an age-and-case-appropriate daily routine takes professional knowledge and filial familiarity to be able to carry out the right activities for them. This means that the best option to develop a good routine is a discussion between the doctor, in-home caregiver, family members, and of course, the older patient with diabetes. If this is possible, then there is no doubt that their daily routine can be like that of a long-sighted strategy. In most cases among older people, they are often kept back from social events to avoid the possible stress that it can be on them. We recognize your doctor’s recommendations since that are where we should rely on the most. But as for the case of people with diabetes, this condition should not be a flaw or a drawback from being able to communicate with people. Yes, they are often the people who experiences different physical challenges such as vision and hearing loss. This can cause different effects on a person’s life and their relationships but you have to remember that your elderly loved ones need patience. Social interactions does not need a large group of people to talk with them but it only takes you and the rest of the family members to actually have a meaningful conversation and avoid depression. Your elderly loved ones with diabetes have a better future with the proper care and maintenance. Call and get help from Bayou Home Care, a reliablesource of home care in Louisiana, today! We provide the finest services that your seniors would surely find relief right at the comfort of your home! This entry was posted in Home Care, Home Health Care and tagged elder care, home care, home care in louisiana. Bookmark the permalink.